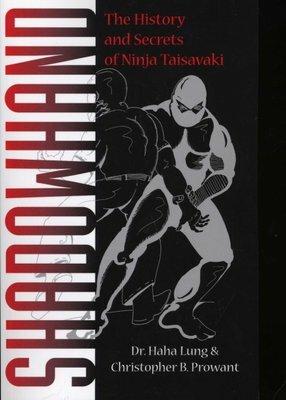 "Avoid being seen; seen, avoid capture; captured, avoid being held." This was the credo of the shinobi ninja of medieval Japan, and the strategy and skills required to accomplish this ideal were known as taisavaki-jutsu a the art of avoidance or, more simply, athe shadowhand.a Through this careful study of these ninja shadow-masters, including in-depth discussion of the nine training halls of ninjutsu, the basics of human sight and the quest for invisibility, the serious martial artist gains an appreciation of the devastating techniques of stealth, secrecy and subterfuge they collected, honed and practiced in order to strike down their enemies. 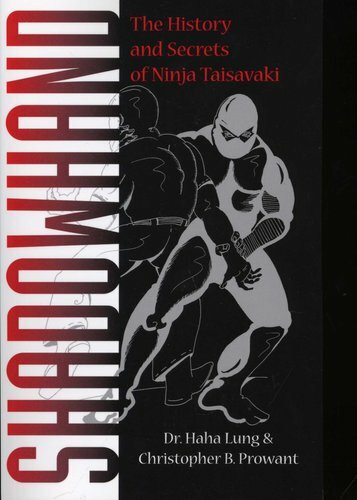 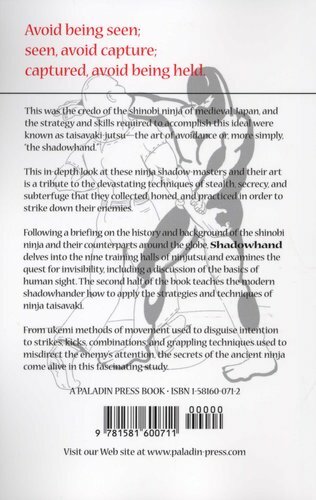 The second half of the book shows the modern shadowhander how to apply the strategies and techniques of ninja taisavaki, including ukemi methods of movement used to disguise intention, and strikes, kicks, combinations and grappling techniques used to misdirect the enemyas attention.